“Super relate because minsan umasa rin ako ng dahil sa Starbucks invitation… But natuto na ako [nang] bonggang bongga,” she captions. While Aquino still likes Starbucks’ Chai Tea Latte with soy and no foam, her coffee is personal. She has two espresso machines at home and one at work to indulge herself in her favorite blends—Nespresso’s Dulsao, Bukeela, Linizio, Vanilio, and Volluto Decaffeinato in particular. Although those coffee beans from Brazil, Ethiopia, and Colombia have distinct flavors, she should get a taste of our own beans. Here are some of the local coffee beans she—and anyone, really—should try. Kalsada Coffee harvests their coffee beans from community farms in Sitio Belis in Atok, Benguet. They mainly offer Arabica coffee varieties like Typica, Red Bourbon, and Yellow Bourbon. With a floral aroma, Kalsada Coffee displays notes of cacao, dried fruit, nutmeg, and cardamom. Kalsada also delivers coffee straight to you when you avail of a subscription program. This is another coffee sourced from the Cordilleras. Their Irony: Sagada coffee produces a bittersweet taste with fruity notes. If you’re not yet adept at making your own coffee, Figures of Beans offers a starter kit containing a bag of beans, a French press, and a brewing guide. This brand does not only focus on Philippine coffee beans, but they are also dedicated to uplifting coffee farmers from all over the world. Their roster of coffee includes Civet Arabica, coffee beans processed through the digestive enzymes of Asian Palm civet cats. The Philippine representative in their lineup is the Benguet Bourbon. The local coffee is medium-bodied and aromatic with low to medium acidity. If there is coffee that’s truly Filipino, that would be the Barako from Batangas. The Barako coffee, also known as Liberica, gives anyone a general helping with its strong flavors and high caffeine. The variety is listed under Ark of Taste’s endangered varieties of coffee. 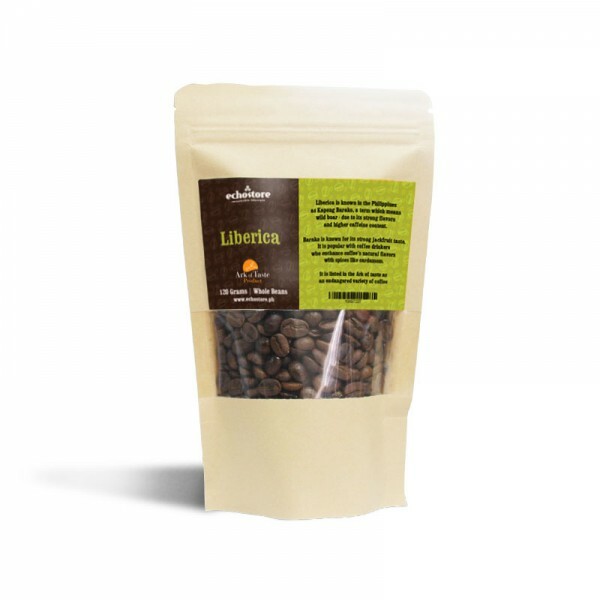 Every purchase of Ark of Taste’s Liberica also supports farming communities that plant the coffee variety. Herman and Coffee is a celebration of family heritage. Siblings Dinjo and Bea Constantino founded the brand as an homage to their great-great grandfather Captain Herman Leopold Schück who was one of the first coffee growers in Sulu. “With the very fertile soil, the coffee is not too bitter, and is not acidic at all,” Dinjo said of their Robustas. Since Aquino treats her coffee seriously, she doesn’t really need to rely on ready-to-drink Starbucks beverages. The coffee shop popular for their foreign coffee beans created a special blend for Filipino drinkers. 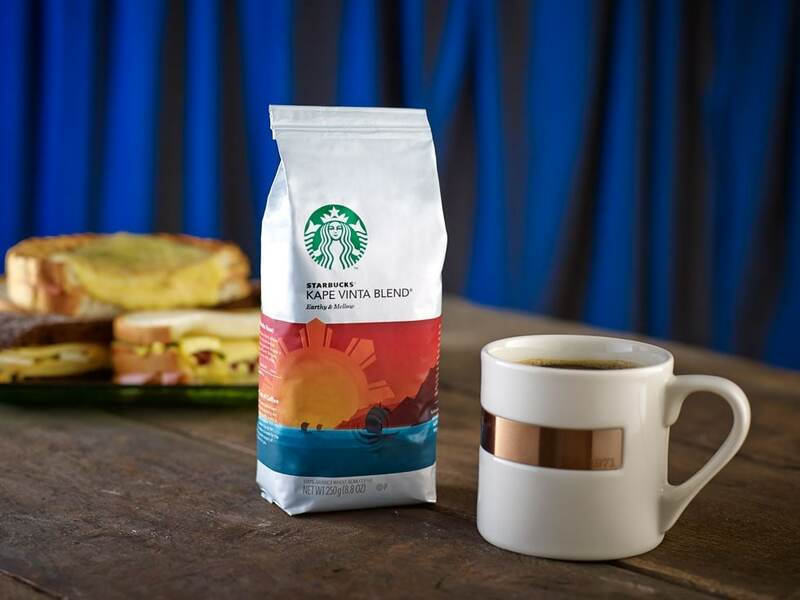 With coffee beans from Bukidnon, the Starbucks Kape Vinta imparts earthy notes with packaging designed by renowned Filipino artist Mauro “Malang” Santos. Brewing coffee can be a tedious task, especially if you’re always on-the-go. You don’t have to sacrifice quality for convenience. With Steep coffee bags, you can enjoy a cup of joe without the complicated brewing process. They have a diverse roster of coffee varieties like Arabica from Sagada, Robusta from Sultan, and Baraco from Batangas. If you prefer fancier blends, their French Vanilla and Salted Caramel will leave you wanting more. Making your coffee only requires you to steep a coffee bag in hot water for three to five minutes. While the concept of terroir or how the origin affects a crop’s flavor is an important guide for choosing the right coffee, it’s also important to take note of both the roasting and brewing process to attain your preferred flavor. For beginners, here’s a quick guide on brewing from Preen. Is it really that bad to eat in bed?